Or wherever you’d like an extra touch of softness! The attractive cool-toned packaging is fresh, modern and appealing – making it a perfect fit for any room and bathroom décor. Great as part of any amenities package or by itself. 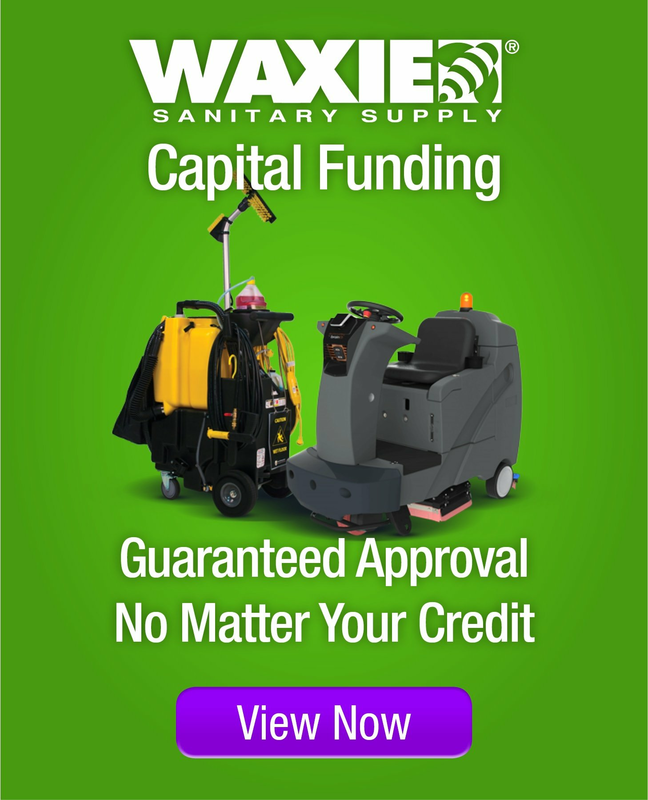 Remember: “You only get one chance at a first impression.” WAXIE Select Bath and Facial Tissues offer a very pleasant appearance along with a high quality tissue that is soft to the touch. In hospitality/lodging establishments these high quality products make the guest experience much more satisfying and inspires a return visit. 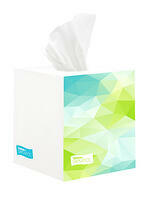 Compares to national brands such as Angel Soft, Charmin and Cottonelle. WAXIE Select Bath Tissue is packaged in a very attractive wrapper that when visible in the bathroom suggests customer appreciation as well as high quality service and cleanliness. 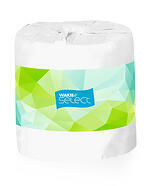 Also, WAXIE Select Bath Tissue is embossed for a very soft feel and experience. WAXIE Select Facial Tissues are very soft and smooth to the touch, comfortable and soothing for those with allergies or colds. They are available in a cube box or flat box, both with the same attractive packaging. 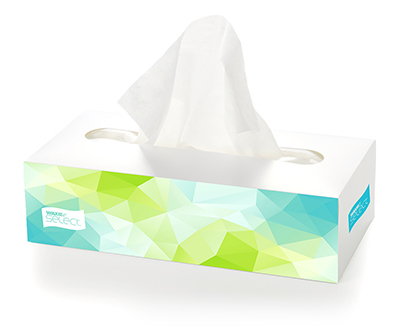 WAXIE's premium quality facial tissue brings the comforts of home to away-from-home settings. The attractive cool-toned packaging is fresh, modern and appealing - making it a perfect fit for any room and bathroom décor. Great as part of any amenities package or by itself. This tissue is perfect for boutique hotels, fine dining establishments, executive offices, or wherever you'd like an extra touch of softness! 8.6"x8.4" sheet size. 100 sheets/bx, 3,000 sheets/cs, 30/cs. WAXIE's premium quality bath tissue brings the comforts of home to away-from-home settings. The attractive cool-toned packaging is fresh, modern and appealing - making it a perfect fit for any room and bathroom décor. Great as part of any amenities package or by itself. This tissue is perfect for boutique hotels, fine dining establishments, executive offices, or wherever you'd like an extra touch of softness!